Nan & Jeanie, a friendship that will forever stand the test of time! We love celebrating National Days at Macklin Care Homes and today is no different as it is International Day of Friendship! We have an abundance of best friends across our six Homes but thought that Nan and Jeanie from our Coleraine Nursing Home, Ratheane have an extra special story to tell. 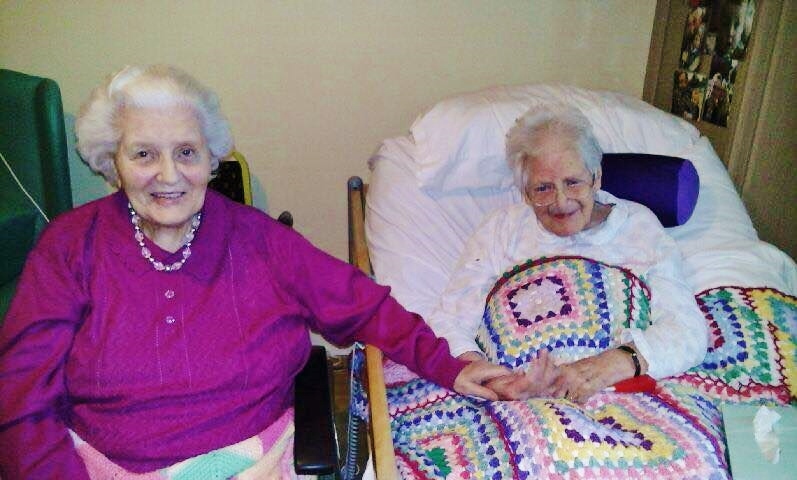 Nan and Jeanie have been friends and neighbours for over 50 years! Many, many years ago Nan made a promise to Jeanies husband that she would always look after her and still to this day is fulfilling that promise – now that’s true friendship! From best friends to neighbours and now fellow residents, this friendship will certainly stand the test of time and continue to flourish at our beautiful Coleraine Nursing Home.